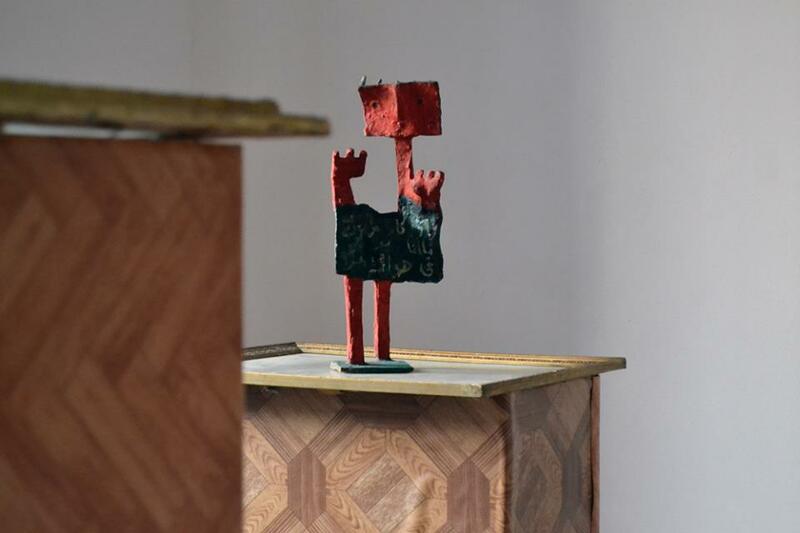 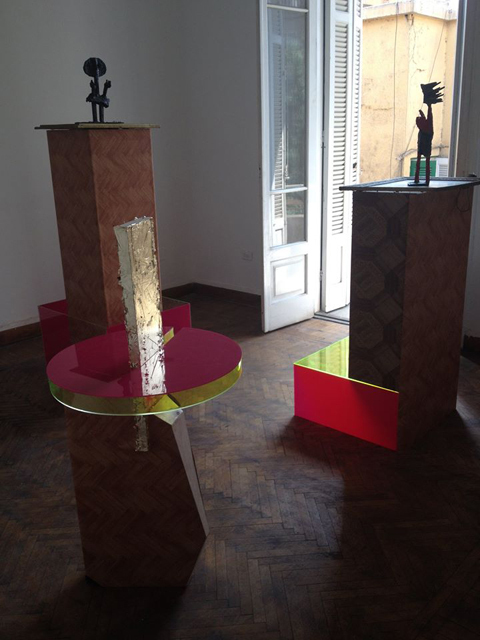 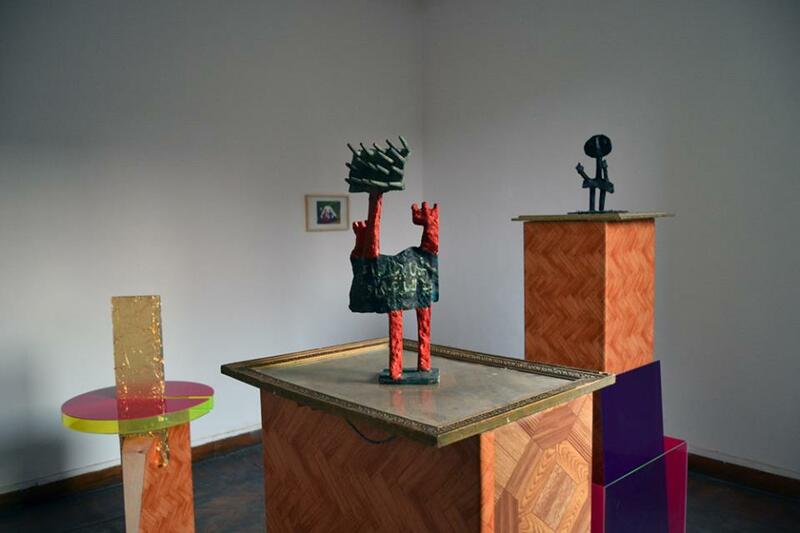 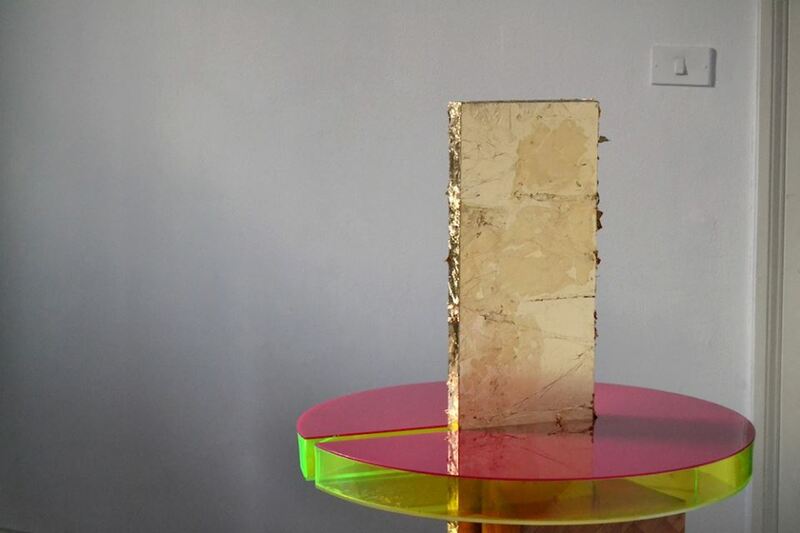 Two metal sculptures by Sobhy Guirguis (1929-2013) balance on two different, vivacious pedestal sculptures by Mariam Elias and Paradoxia, made with gold leaf, wood veneer and colored perspex. 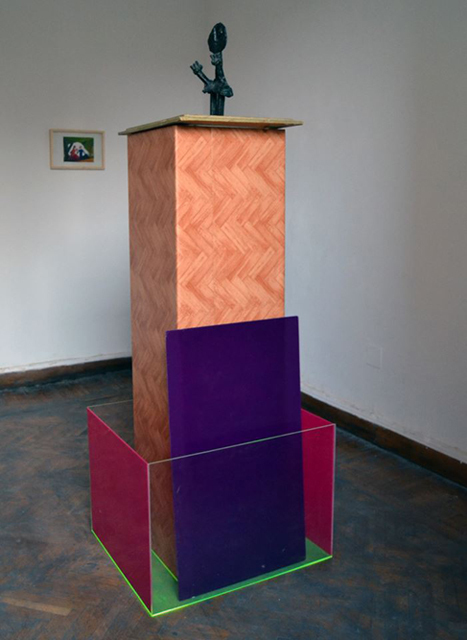 A third pedestal sculpture stands by itself. 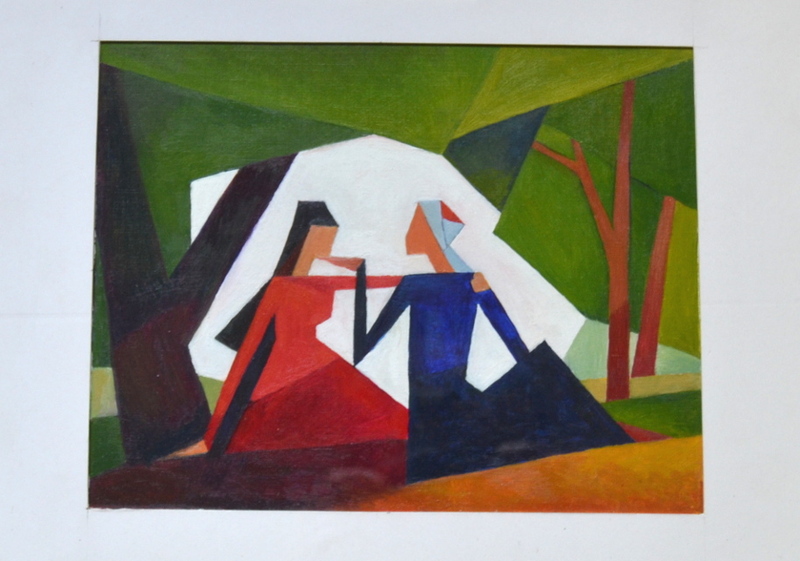 On the wall is a copy by Nile Sunset Annex of a painting by Wadiaa Shenouda (1923-1969) that is on display in the just re-opened Alexandria Museum of Fine Art.